The suspected killer of Regency Crown Hotel owner Richard Lim King has been arrested Sunday afternoon, June 22, by Davao City police. According to a news report published on Manila Bulletin Online, authorities identified the alleged gunman as Paul Dave Molina Labang, 24-years-old and a resident of Daliao, Toril. Police reportedly said witnesses recognized the suspect, who is now in their custody, and appropriate criminal charges will be filed against him. A sling bag was also recovered in his possession, the report said. 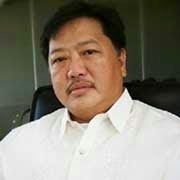 The victim's family and city LGU had put up a P1.3 million bounty on the head of the killer of the businessman who was shot dead inside his building while eating dinner with employees and business partners last Independence Day, June 12.